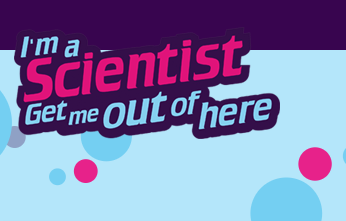 In June, I took part in the ‘widening participation’ event ‘I’m a Scientist, Get Me Out of Here’, in the ‘Mental Health’ section. Sponsored by the British Psychological Society, the event involved some 3400 school pupils across the UK who used an online platform to ask questions of the researchers taking part; this included live forum participation. The pupils voted for the researcher whose proposed research project they wanted to see become a reality, generating a small sum to help get it funded. Accordingly, the pupils were given power over which psychological research would ultimately go ahead. I really enjoyed it, despite being the first researcher to get ‘evicted’. I particularly liked the diversity of questions asked – one that posed whether someone who weighs 99kg would become 1 per cent burrito if they ate 1kg of burrito should have received some sort of reward. For the most part, the questions were very serious, and that is what I want to talk about. What I learned from the experience is that the world is a much scarier place than it was for me when I was a school pupil. The bulk of questions concerned politics, including global politics; I was not particularly concerned with who the President of the United States of America was when I was a school pupil, nor would have been with the potential impact of Brexit, or any number of things along those lines. The event helped me realise how different the world is from when I was in school, and the pressure on children to excel in school if they have any hopes of making it out there in this increasingly volatile, unpredictable world. I wholeheartedly recommend that anyone with an interest in knowledge exchange considers giving this a go. For one thing, it really was knowledge exchange; I learned as much or perhaps more from the school pupils. Making the most of an online platform, it was also convenient to take part, working around existing commitments. I am grateful for the experience.